The bit started with the Late Show host, Allison Janney and Anthony Anderson discussing the current world issues before breaking out into a satirical musical number about how despite all of the issues, everything is better on TV. Julia Louis Dreyfus, Chance the Rapper and more appeared throughout the musical number to sing about the nominated shows while also discussing current political issues, from Russian spies to women’s health. 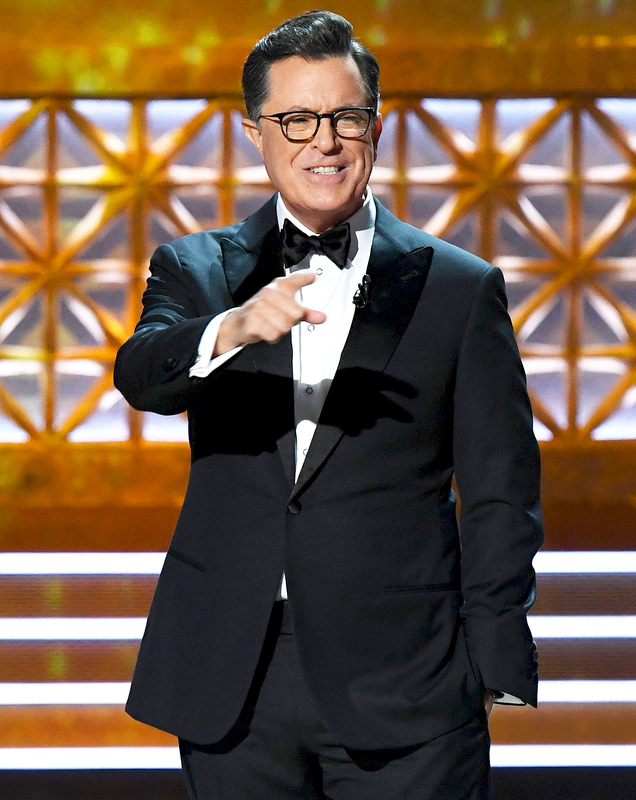 When Colbert took the stage, he took a moment to thank first responders who assisted during recent hurricanes Irma and Harvey, encouraging viewers to continue to donate. Soon after, he began to take jabs at Trump. Colbert then pulled up a tweet from 2014 in which the president bashed Seth Meyers as host, saying he had marbles in his mouth. When Colbert asked Meyers for a response, the camera panned to the Late Night host, who shook his head as marbles fell out. The audience erupted in cheers as the camera panned to Sarah Hyland, who was in tears from laughter. 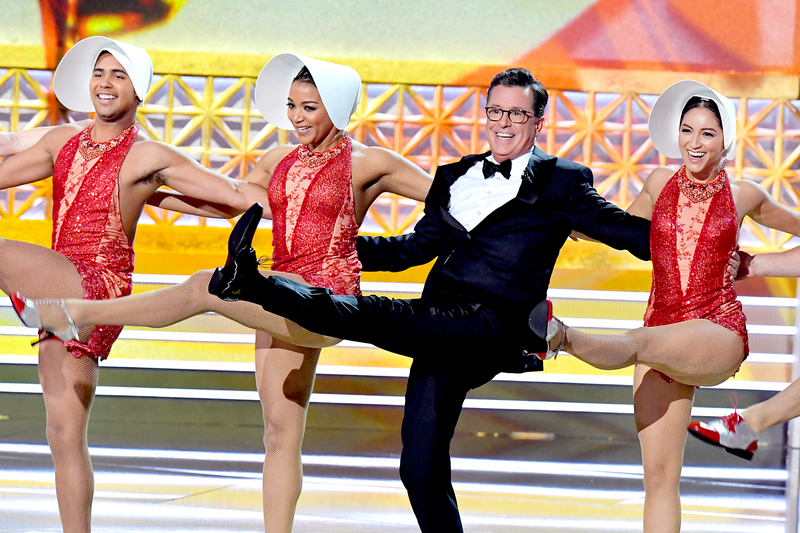 To end the monologue, Colbert shocked the audience when he brought out Sean Spicer to let viewers know that this would be the biggest Emmys audience ever.